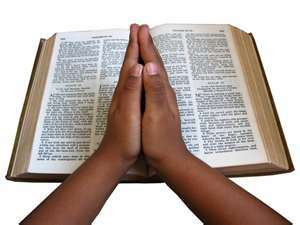 I am quite sure that every Christian in business prays. However, sometimes we get caught up about how we should pray and wonder if it is okay to pray for our business. I believe that God absolutely cares about our business and He tells us through scripture that He wants us to pray about everything. We all know these verses, but sometimes it just feels selfish and self-serving to pray about business. Plus, we hear all of the time (sometimes misguided) that God doesn’t want us to focus on money. Wouldn’t praying for business be the same as asking for money? To these questions I believe we need to trust God on His Word and believe that God will not judge us on the eloquence, the possible double meaning, or the content of our prayers. He knows our hearts so we don’t need to put on a show for him. But prayer is important, and I know that having a template or some guidance, even on prayer, is helpful. The fact that I am going to be able to share lots of resources with you on prayer, just shows that I have sought out how to pray, when to pray, and what to pray on numerous occasions. Our mission at Crossroads is to help Christians in business grow successful businesses on a foundation of Christian values. A core value of ours is the importance of prayer. I have pulled together a variety of resources for you around prayer. I think there is something here to match just about everyone’s comfort zone. Ann Lamott is a great writer, a realist, and loves God. She shoots straight on everything. Some people find her a little irreverent; others find her really real and funny. I happen to be one of the latter. This is an easy book on prayer to read and to put into practice. One word prayers—you can’t ask for simpler than that. Paul Miller is a real person struggling like the rest of us to make it in the world. I found that he had many stories about his family and their experience with prayer and staying connected to God. With three kids and a husband, I could relate to many of his stories. The thing I like about Yancy is he makes us feel okay for having our doubts. In his characteristic style, he comes to where we are and gently brings us on the journey he travelled to get to where he is now. A great book on prayer. We all pray in our own way and in our own style. We can pray without ceasing, in intercession, and for our own needs. We can pray aloud, to our selves, with others, in writing, or in song. We all have our own relationship with God, and prayer is a key way that we connect with Him. As our work is a key component of our life, it is only natural to want to put Jesus at the center of our business too. As an added bonus, if you sign-up for my mailing list below, I will send you my Prayer @ Work – MP3 Audio for Free. This audio gives you some ideas about how to comfortably weave prayer and a prayerful attitude into your work day so that you can start each week with a peaceful, confident, focused feeling and stay focused, inspired, and connected to God every day at work. I hope this post has provided some new resources for you to visit as you seek a growing and rich prayer life. These are all excellent suggestions. I have looked at Anne Lamott’s book in the bookstore. I was actually surprised, based on one of her other books I own, to see her writing about prayer. Even a word-hound and speaker like me loves those single-word prayers, because, as you write, God knows what’s in our hearts. Hey Felicia! Ann Lamott has transformed over the years…I love that she is so transparent and puts things in terms that relate to everyone….and she is pretty funny! She is a self-professed skeptic of religiousness, but a follower of Christ. I related to her one word prayers a lot too because, sometimes that is all we have time for, but we want God to know we need Him with us even with the hustle and bustle of life. Hit the nail on the head today with the email and blog post! “I believe that our God is big enough to handle it all “. In the rush and hustle to get things done, it’s easy to forget that He is more than enough and that we need to give it back to Him. Hi Ryan, I agree …we know God can handle it but sometimes we get caught up in the busy-ness and we forget! Thankfully, he is still there and waiting for the hand-off when we remember! Thanks for this great post. Going to God in prayer keeps my focus where it needs to be, and never allows me to have a bad day. I like the concept of Help, Thanks, WOW, especially the last two. Hi Dave….I prefer the Thanks and Wow prayers too, but God wants to help us too! I have to remember that and ask for help rather than try to control things in my own strength. I have a few more Help prayers than I would like, but I am so thankful that God is there to help! Blessings!